Every supercar brand has its own character and appeal; Ferrari marry passion with performance, Mclaren eek out every drop of speed with near excessive precision, whereas Lamborghini, are just plain mad. When the German boffins at Audi took over a few years ago every mans inner child grew anxious. Lamborghini make everyone feel 12 years old again and there was a worry that the Germans would champion functional design over Italian lunacy. Thankfully they didn’t. If any car is testament to that, it’s the Lamborghini Aventador. It’s perfectly impractical. It’s too wide, too loud and the way it launches off the line is just too damn frightening. To top it off, the price for this seemingly imperfect car, is more than most family homes. On the face of it then, it doesn’t seem too great. However, most would agree, this is just perfect Lamborghini. So can the new S version be any better? To start, Lamborghini have extracted an extra 40bhp from the 6.5L V12. This brings the grand total up to 730bhp (only 10bhp behind the SV version). The redline has been rasied to 8500rpm to make sure you hear the v12 howl for as long as possible. The S has of course retained the AWD setup of the normal Aventador, meaning it will demolish the 0-60 dash in 2.9 seconds. Find a stretch of tarmac long enough, it will continue all the way up to 217mph. Thankfully stopping power is in plentiful supply as Carbon Ceramics come as standard. The biggest change to the S is the rear wheel steering system (you can thank the 991 GT3 for kicking off this trend). At low speeds the rear wheels turn in the opposite direction of the fronts. This creates a feeling of a shorter wheel base. At high speeds the rear wheels turn with the front wheels greatly improving stability. Expect to see this kind of set up more and more on performance cars of the future. Lamborghini have tweaked the suspension to make the most of the RWS system and also fitted new rear springs. The ESC has also been fiddled with to provide a great driving experience no matter what the weather. The Aventador has three driving modes; Strada, Sport and Corsa. The S features a new Ego mode. Nothing too ground breaking here, this just lets you select your perfect combination of settings, rather than the predefined ones from factory. However, there are some changes to the the 3 modes. In Sport up to 90% of the torque can be sent to the rear wheels compared to 80% in Corsa and 60% in Strada. The S also features a new TFT display similar to that of the SV. Now one large screen occupies the space which can be completely customized to what the driver wants to see; Satnav, media etc. You will of course notice exterior changes, most notably the front bumper and splitter. Unsurprisingly, they’re not just for show. Front end down force has been increased by 130%. A new rear diffuser and wing – depending on speed and driving mode – improves downforce over the rear by another 50%. Personally, I prefer the look of the standard version, but the S certainly brings a refreshing change to car that has been on sale for a few years now. 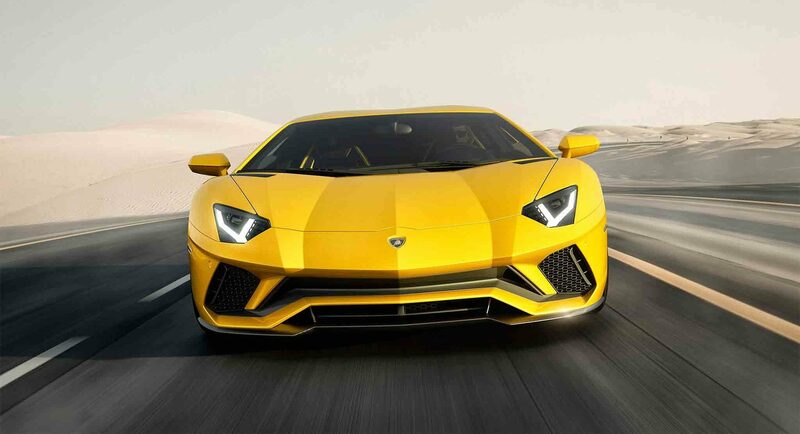 This entry was posted in Supercar and tagged aventador, lamborghini.